"One head is fine, but two are better," we say in Russia. So how about a palette as your second one? We have already shared some thoughts on every of preps from the above. However, I have found providing you with a single source of color palettes insufficient, so here come more which we use and recommend you to. You knew! But I couldn’t help starting with Adobe Color since it has been a huge designer’s booster for quite a long. Somebody likes it a lot, and somebody has switched to something else — anyway, you should give it ago before proceeding with other resources from the list. 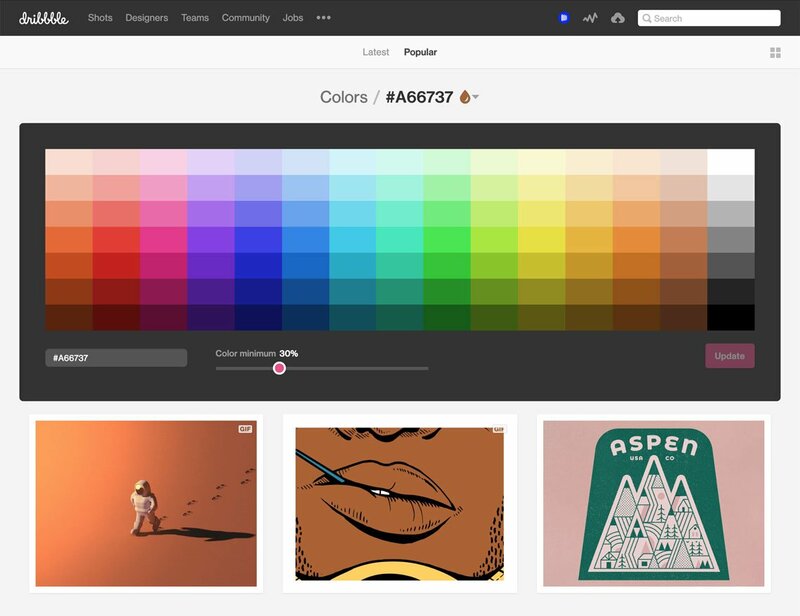 Adobe Color allows creating and sharing palettes of 5 colors, so the simples it to check out what other users have already made up. You can edit them to your demands and save for later design work. It is pretty rejoicing that the library of the user-created content is so rich and varied, so you are likely to find the exact match. 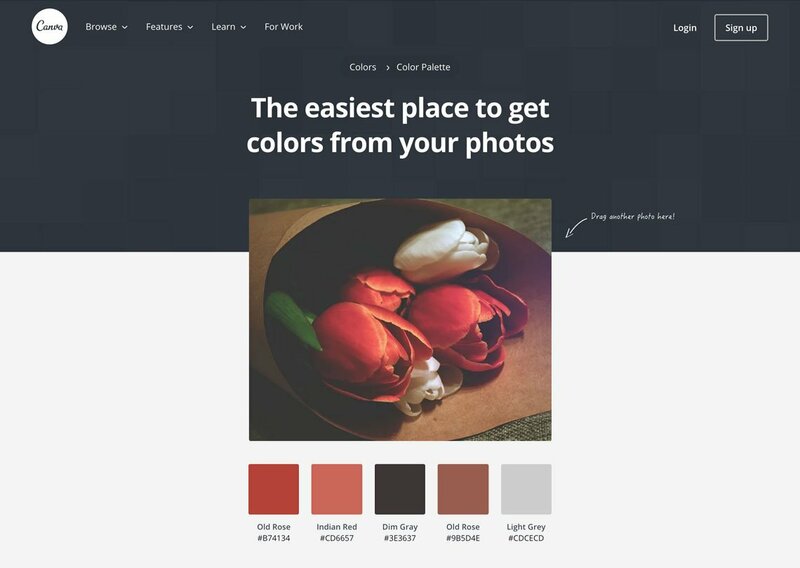 Alternatively, you can create a custom palette: either manually (which is more complicated and requires some knowledge of color theory and a good eye) or by importing and experimenting with an image of yours. Dribbble is a creator’s major checkpoint, let’s call things by their names. Searching for inspiration? A team? Feedback? Helpful resources and freebie? They are all captured together on Dribbble. 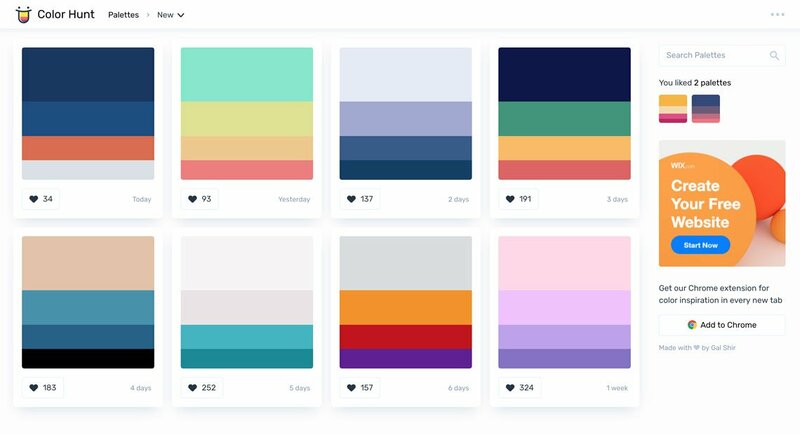 Moreover, the built-in color palettes of Dribbble are so handy and easy to use! 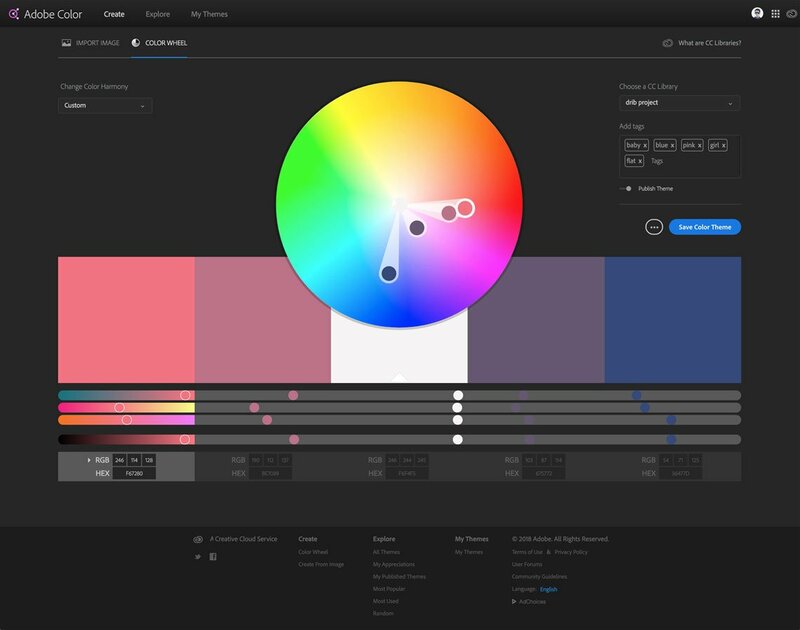 All you need is to find a reference you like and download the color palette featured below. Or you can pick a color you particularly like and find all images (and palettes) featuring it. I usually end up with tons of fascinating solutions with I export in .aco format and test in Photoshop for my project. Sounds very simple (and it really is), but the color search should be like that, no? Wherever inspiration — and fancy colors — lie, you should get it and bring to the design process. So if Dribbble works for the existing library images, you can try Canva color palette generator to extract colors from a custom image or to browse thousands of pre-made palettes with amusing names. Of course, you can return to Adobe Color for that, but to me, the color palette generator by Canva feels more fluent and usable, and you can simply keep it in your bookmarks for the case. And it’s perfect to make a strong point with it. Indeed, there are lots of professionals who share their insights, tips, and tools, which are often more precious than an app or a service. You are welcome to try out the palette ideas from Color Hunt, Lisa Glanz, Graphicroozane — or anyone else you come around by yourself!